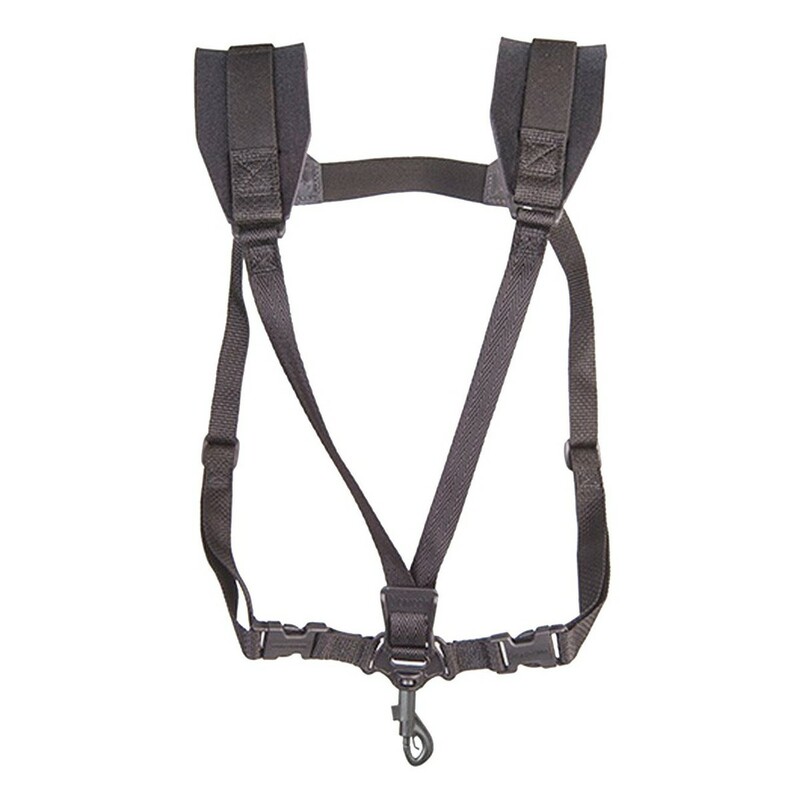 The Neotech Soft Harness is ideal for the saxophonist requiring long lasting comfort whilst performing. The neoprene is reinforced with elastic material for a comfortable feel. The open harness design is both comfortable and supports your back for reduced strain throughout a performance. This model's swivel adaptor is ideal for quickly interchanging between different instruments, as well as providing a heavy load ability. The junior size can be adjusted throughout a large range to suit nearly all preferences. The black colour is a classic aesthetic.